Playing indoor soccer is challenging. It is fast and furious, and you need to have the footwork to make it to the top. That means the best indoor soccer shoes you can get are essential to your success in this exciting, challenging sport. Most soccer shoes whether they be outdoor sports shoes known as cleats or indoor shoes, they all have the same basic construction. An upper made from various materials, a midsole which provides the support and stability and an outsole. Although different brands will use different materials, styles and of course technologies to construct their sports shoes, all of these shoes have one thing in common, and that is that they offer comfort, support and a superb feel for the ball. However, it is in the construction of the outsole that determines how well the shoe will perform on different surfaces. View the Best Soccer Indoor shoes, Below. In this review, we take a look at the different soccer shoes for playing indoors on the market. Having read numerous customer reviews, watched endless YouTube videos, as well as having researched different specifications on various manufacturer’s sites, we have come up with the top ten indoor soccer shoes available on the market to enable you to take your game to the next level. Enjoy cycling, too? Check out our review of the top cycling shoes. Indoor soccer is one of the most popular sports in the US and Canada, as well as basketball (click here for the top shoes), and in fact was developed in these two countries to enable people to play their favorite sport, football, even during the cold, snowy, winter months. This is a game that is played both indoors and outdoors, in arenas that are surrounded by walls or nets. 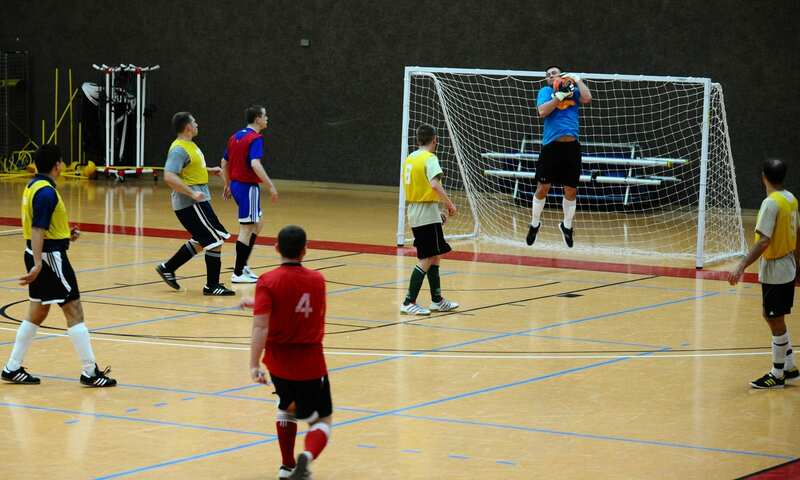 Indoor soccer has a number of regulations that differ substantially from other versions of the sport, such as futsal. It is played on synthetic turf soccer grounds. 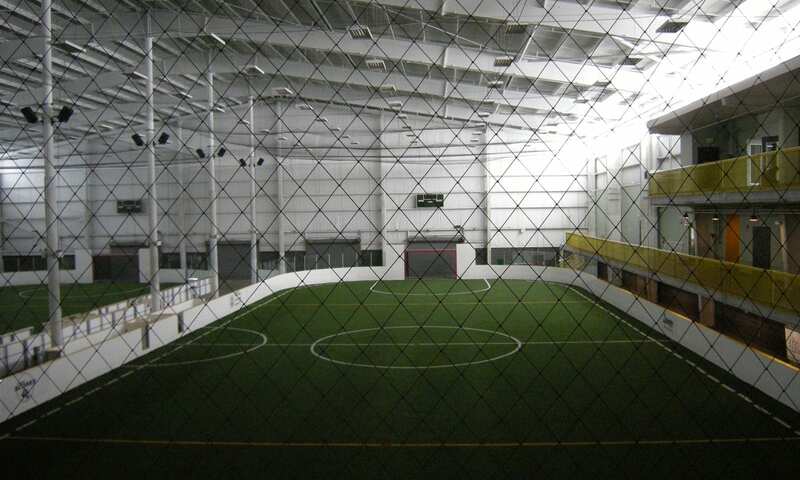 Indoor soccer courts have no lines, instead, they have walls, and there are no “outs”, in other, there are no “throw-ins” by players. This makes the game incredibly fast with your footwork being the most important aspect of your game. All classic indoor soccer shoes, as with most other kinds of sports shoes, are constructed in a similar fashion with an upper, a midsole and an outsole. Although the outsole is very important when selecting your shoe the other aspects can also make a huge difference to your performance. Making sure that every aspect of your indoor soccer shoe is designed to enhance the style of your indoor game is important. In selecting the right indoor football shoe you need to consider all aspects of the construction for comfort, fit and support. The outsole of your indoor games/ soccer shoes should ideally have a flat surface, with a harder surface than your traditional tennis shoe or sneaker. Having a low cut shoe is best to not impede your foots range of motion. Let’s take a look at some of the vital statistics of indoor soccer shoes that will enable you to lift your game and take it to the next level. Most of the good indoor soccer shoes are constructed out of four main types of material. These materials are selected by manufacturers because they provide the flexibility, durability, and breathability you need in an indoor football shoe. Leather, mesh, soft synthetic leather and other synthetic materials are used to construct indoor soccer shoes. A lot of the big brands prefer to use goat or calfskin leather as they offer a great fit and feel on your foot. Some manufacturers will use pure leather on their high-end sports shoes. Pure leather classic indoor football footwear is by far the most expensive, however, they are also some of the most durable sports shoes for indoor soccer, and offer a great fit and feel. The alternative to pure leather is soft synthetic leather. It is a lot less expensive to manufacture, and it also has the added advantage of being not only highly durable but also water resistant. The one disadvantage is that is it a little less flexible than leather. 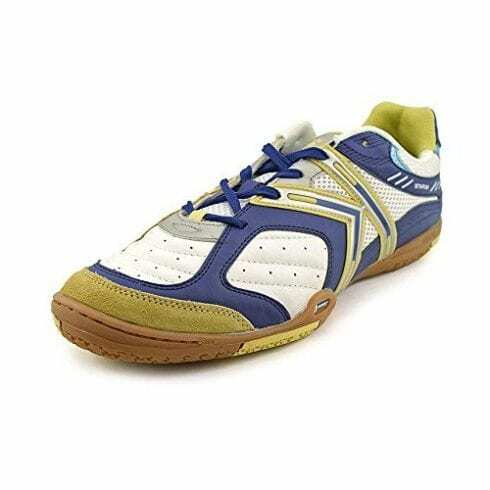 When looking for a shoe that is extremely light and breathable, you can consider an indoor soccer shoe made from mesh. The mesh material is a lot less expensive than leather and will bring down the overall cost of the shoe while providing all the properties such as breathability, comfort, support, as well as being lightweight. 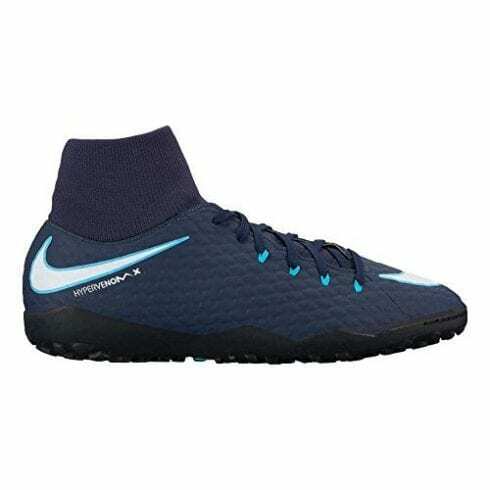 The material is only one of the considerations when looking for futsal shoes, the others are the fit of the shoe, and the design of the shoe and the traction or grip the sole of the shoe offers. Getting the right size and the right fit is imperative if you want to reduce the possibilities of injury when playing indoor soccer. The perfect indoor games soccer shoe will offer a fit that is tight without restricting the movement of your foot. Your feet are your greatest asset when it comes to playing indoor soccer and a shoe that is too tight, or too loose will definitely affect your game. Too tight and your feet will suffer becoming tired or painful and reducing your ability to play soccer at your best. Too loose and you could be prone to twisting your ankle, tripping, slipping and falling, leading to injury. The shoe should fit just tight enough to keep your foot secure, allow you to have a great touch on the ball and support your foot to prevent injury. Consider whether you have narrow or wide feet and buy accordingly. Always purchase your shoes at the end of the day as your feet tend to swell during the day or the game, and you need a shoe that will be extremely comfortable even when your feet are slightly swollen. Always take the socks that you are going to be wearing with you to ensure you get a shoe that allows for the extra room the sock takes up. Another thing to check is the amount of room between your toe and the end of your shoe. There should not be any bunching and space should be no more than ¼ inches space left, or about the width of a finger, enough wriggle room for your toes, without allowing your foot to slide in the shoe. Lastly, when considering which shoes will fit you best and allow for optimal performance on the pitch, you should consider gender-specific shoes. Women’s indoor shoes are made to fit the foot and ankle differently to men’s. They require different kinds of support and of course different sizes. The best Fustal soccer shoes are those that offer your foot a great range of motion, support and comfort. A low profile designed shoe is optimal. This type of design allows your foot to have a full range of movement, and to be able to move in any direction quickly. Generally, soccer shoes for playing indoors do not require cleats, but having a soccer cleat that is designed to work with or without cleats is a great option, that way, not matter what surface you play on you will be able to cope with the conditions. An indoor football shoe should be constructed out of materials that allow for maximum support, comfort, and stability. They should be flexible and breathable. Your feet are your tools when playing indoor soccer. They need to have the freedom of movement, the sensitivity to allow for great “feel”, and of course be durable. The construction of the shoe should be as lightweight as possible, both in the sole and the upper. The materials used should be durable and breathable. The construction of the outsole should be low profile and the midsole should offer great comfort and support. Many people have foot issues and the construction of the shoe can negate some of these. If you find that you have wide feet or narrow feet, look for a shoe that is constructed to deal with this. Also, the soles provide help with heel, knee or ball of the feet issues. The construction on the heel of the shoe can help you deal with any heel or ankle issues. If you selected an angled heel cup construction with a textured lining, you can help prevent that shoes do not slip off your feet as your run and dribble the ball. The midsole construction of the shoe should also be low profile, this is to give your feet as much contact with the pitch as possible to keep you stable. Other important aspects of the construction of your indoor soccer shoe are the laces and tongues of the sports shoes. This is important in soccer shoes as they can have an effect on the way you kick and dribble the ball. Ideally, the laces should be placed out of the way and the tongue of the shoe should place the tongue under the laces. This style of construction prevents either the laces of the tongue of the shoe from interfering in the manner in which you kick the ball. Outdoor soccer shoes have cleats. These are designed to give the most traction on different types of playing surfaces. Indoor shoes, however, do not need this kind of cleats. They generally have soles that are flat, often with slight nubs on them that are non-marking, and are constructed from gum rubber. They are designed to give you the traction you need to enable you to get the best grip on the indoor surfaces. The outsoles of the shoes are designed to be lightweight and flexible to allow for the best feel on your foot. When you play indoor soccer you need a soccer cleat that will allow you to be nimble on your feet and give you the stability you need to be able to cope with the fast movements you will be making. Stiff soles provide you with great traction and superb stability, however, they will not allow you the kind of foot movement necessary when playing indoor soccer. You need to be able to control the ball well and for that, you need to have great “touch” when dribbling or shooting. The insole or footbed of the shoe should be well cushioned to enable you to get the best comfort. A reinforced heel on a soccer shoe is important as this is what offers you the stability you need. The shoe’s padding will relieve any extra pressure on your pressure points such as the ball and heel of your foot as well as a padded tongue to prevent pressure on your arches and top of your foot. The inner footbed is also where you would look for materials that will wick away moisture to keep your foot cool and dry. The midsole of the shoe should be low profile to give you great contact and control, but be padded and supportive enough to enable you to remain stable on your feet and prevent foot pain. Apart from all the different aspects of futsal shoes for soccer, or indoor football footwear, you should always try out a few different brands, styles and designs of shoes. Getting the right fit and model will make all the difference to your game. Try them on, do some sprints in them and get the feel of them when dribbling the ball. Ball handling is an important consideration and having great quality, well designed, lightweight and breathable shoes will let you get the upper hand in the indoor arena. Now let us look at the shoes that make our list of top indoor soccer shoes. 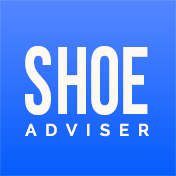 In our list, we cover expensive professional shoes to the more reasonably priced shoes and those specifically designed for kids to use. Adidas is one of the most iconic brands in sport's shoes, including indoor soccer shoes. 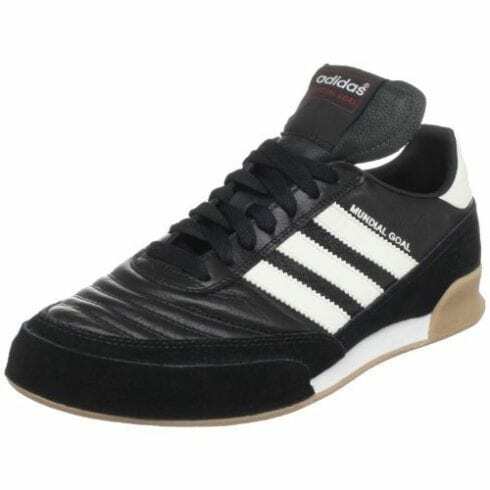 They are legendary in the way they construct their shoes and these Adidas Performance Samba Classic Indoor Soccer Shoe is no exception to the rule. The style, great design and formidable traction you get with this Adidas performance mens samba classic football shoe will enable you to take your game to the next level. It is extremely comfortable, breathable, offers stability and durability. You could not ask for more in a soccer shoe, so let's take a closer look. 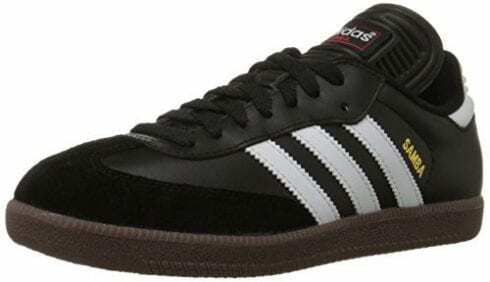 The Adidas performance mens Samba classic indoor football footwear is constructed using full grain leather for the upper and low profile outsole. The upper is suede leather with contrasting overlays and the recognizable contrasting 3-stripes of the Adidas brand. This construction of the mens samba is designed to give the indoor soccer player maximum ball control and the best traction in the arena. The outsole of the mens Samba is low profile, pivot-point, gum rubber sole, which offers great traction. Not only that but it also offers non-slip construction, so even if you are playing on smooth surfaces such as polished wood, you are sure to remain stable on your feet. The outsoles are non-marking. They are not overly stiff in their construction to allow you the flexibility for multi-directional, fast and nimble movement, which is a requirement in indoor soccer. 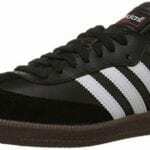 The insole of this Adidas Performance Mens Samba indoor soccer shoe is designed for ultimate comfort. It offers great cushioning with an EVA insole and textile lining. The midsole, like the outsole, is designed with a low profile for great control and stability. The shoe offers superb arch support. The Men's Classic Style is a gender-specific shoe designed to fit comfortably and securely on your foot while offering the best support and comfort. They fit true to size, and due to this, they require almost no "break-in" time. These are gender specific shoes, and although that does not mean women cannot wear them, you will have to be cautious in sizing when selecting these shoes for female athletes. Offering various colors and styles these are the perfect shoes for casual wear, as well as for the indoor football player to wear. As a cool alternative, you can try the Adidas originals Samba MC lifestyle sneaker! Since 1971 Nike has made football boots that are the talk of the football fraternity. With the entry into the indoor soccer shoe scene, they brought with them all that knowledge of what a footballer needs to be able to excel in their sport. The Nikes Mercurial X Victory is designed in honor of the great Ronaldo, one of the most renowned soccer players in the world today. 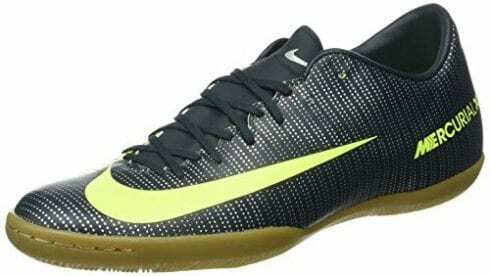 It is one of Nike's best offerings for competitive indoor soccer cleats. These offer you the best fit, traction, comfort and touch you require to reach the pinnacle of your game in the arena. 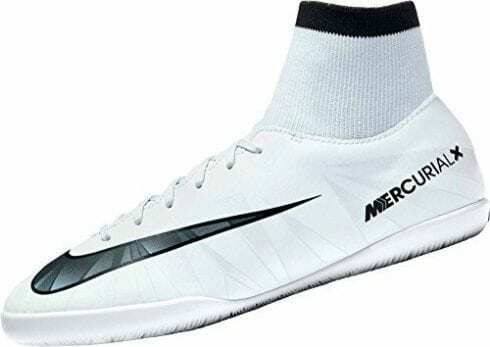 The synthetic leather upper materials of this Nike indoor soccer shoe is durable stylish. Its tongue less construction adds stability with great lockdown. The embossed ridges on the shoe provide you with great touch allowing you to practice ball control like a pro. The excellent grip on the studded rubber outsole is simply outstanding. It is designed to provide the grip that you need when playing the fast and furious game of indoor soccer. The outsole is non-slip and will keep you securely on your feet when dribbling or shooting. The outsole does not only have excellent grip, but is also flexible, allowing for a great range of movement, which will ensure that you move quickly and confidently around the arena. Comfort is the name of the game here. The Nike is constructed with just the right amount of cushioning and support in both the midsole, heel and toe area. The insole is low profile design. The fit of this fantastic indoor soccer shoe is unrivaled. The Dynamic Fit Collar will link the foot, ankle and lower leg. This design gives you not only ability to kick the ball with power, it also gives you great ball control, improving your dribbling around the court. The tongue less construction of the shoe wraps your foot up and gives it a very snug and secure fit. Soccer is a game that requires not only fitness but also finesse and the ability to exercise great ball control will make all the difference. Nikes Mercurial offers you that ability in a shoe that is designed to enable you to get the best ball control and dribble then shoot your way to glory. Puma, the brand name in athletic shoes, which are designed to fit both your lifestyle and your sport. Technical brilliance combined with superb design PUMA offers an indoor soccer shoe that doubles as the perfect casual shoe as well. With the PUMA Men's Invicto Sala you get a shoe that is perfect in every way, especially in price, being one of the most reasonably priced indoor soccer shoes for playing indoors on the market. The PUMA is made from natural suede leather. Along with the leather and suede you get mesh inserts which for great breathability. Your foot will not only be wrapped in comfort but will also remain cool and dry throughout the game. This shoe construction is guaranteed to give you a great touch and feel and ultimate control over the soccer ball. The outsole of the PUMA is non-marking rubber sole, and weighs in at a mere 10.4 ounces. This makes it extremely lightweight. It is also flexible to allow for great movement. The traction is top notch and it will not only give you great grip on the hard indoor surfaces but also on any other hard surface, including the outdoor surfaces. The outsole is low profile for excellent connection with the surface and superior control. Soccer is all about your feet, and the rubber toe reinforcement construction of the shoe ensures the best level of protection for them during the game. The sock liner is not only cushioned but lightweight. It is cushioned to ensure you get the best comfort and support from your indoor soccer shoe. A low profile midsole gives you superb control on the court. The design of the shoe with its lace closure offers you a secure fit. The shoe is stable on your foot, allowing you to play soccer with confidence. 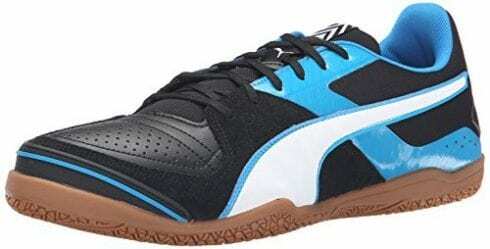 One of the best futsal shoes for soccer on the market, designed for speed and agility, the PUMA is the one you need when you are looking for a soccer cleat that offers all the features of a great indoor soccer shoe at a fraction of the price. It comes in various colors, perfect for both casual wear and as a superior indoor soccer shoe. 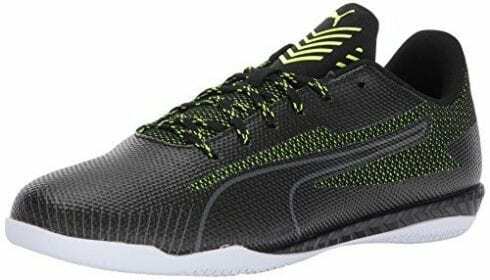 One of the best futsal shoes for soccer on the market, designed for speed and agility, the PUMA is the one you need when you are looking for a soccer cleat that offers all the features of a great indoor soccer shoe at a fraction of the price. It comes in various colors, perfect for both casual wear and as a superior indoor soccer shoe. Another great offering from one of the top brands in athletic footwear. 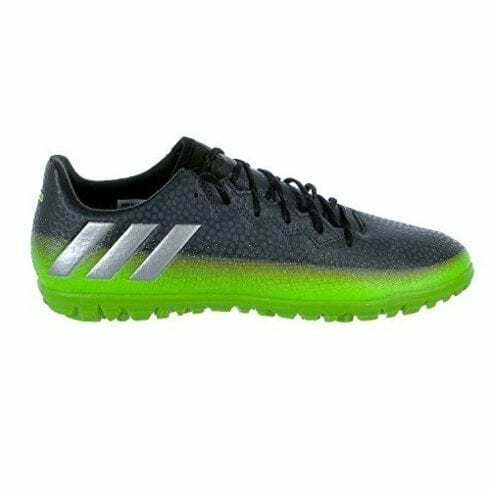 Adidas with its distinctive three stripes gives you an indoor football shoe that is designed for men to be able to give their best performance on and off the indoor soccer arena. The Adidas Performance Mundial, in particular, is one of the soccer shoes from Adidas that has been a mainstay of soccer players throughout the decades, and now makes its entrance into the indoor soccer scene, bringing all the incredible ball control of the pitch and into the arena. The Adidas Performance Mundial offers you split-suede upper materials that are both soft and supportive. It wraps your foot in comfort and allows for great feel and ball touch. The shoe is ultra-durable and the construction is designed to be flexible to enable your foot a great range of motion when speeding around the arena. The outsole of the Adidas Mundial is gum rubber offering superb traction and grip on any surface. It is, however, the fact that it has been specifically designed to shine on indoor surfaces that put this shoe onto our list of top indoors soccer shoes. The gum rubber outsole is also non-marking. The insole is die-cut EVA, which is both lightweight and extremely comfortable. It will ensure that your foot remains supported throughout the game. The synthetic lining in the shoe helps to wick away water, keeping your feet cool and dry. The midsole is low profile for great control and feel. The Adidas offers a superior fit, with the design of the shoe focused on a secure and comfortable fit. When you are an indoor soccer player you need all the control, support, comfort, and stability a shoe can offer to allow you to speed around the court while exercising supreme control over the ball. Your feet are your weapons and the Adidas Mundial supply you with the ammunition to take that shot at goal with confidence. If you know Michelin , you know that you are dealing with one of the largest manufacturers of tires in the world. Well, they have joined together with Kelme to come up with the ultimate in soccer shoes for playing indoors with unrivaled grip and comfort. The Star 360 is stylish and innovative, flexible, breathable and durable. Everything you need in an indoor soccer shoe the Kelme indoor soccer shoe is the pinnacle of design excellence coupled with optimum performance and versatility. The construction of this shoe is designed in such a way that you get the best control over the ball and superior touch. The forefoot of the Kelme is divided into three sections. Made out of leather. The leather construction is soft and thin to allow for a great feel and superb control over the ball. The leather is very slightly padded to ensure comfort. The instep and toe of the shoe also contain suede material to give you great grip on the ball when dribbling or shooting. The back of the shoe is mainly constructed from a mesh material, which makes it very breathable. There are synthetic supports to ensure your foot is secure and stable at all times. The tongue is full mesh and also contains padding for comfort. This is where the shoe shines as it were. Michelin provided the technology to ensure that you get the absolute best in traction on this fustal soccer shoe. The sole is soft, flexible and offers you superb grip on any surface. The rubber sole on the shoe with the Michelin technology makes it extremely durable. The insole and midsole of the shoe are nicely cushioned to give you a comfortable feel. There is a very slight padding on the heel, which is constructed from a mesh material. The heel is secured in place so you remain stable in the shoe. The fit of the shoe is superb. Due to the fact that it uses a number of different materials in its construction, it may take a short while to wear in and can be stiff when first used. The shoe offers a wide fit at the heel and midfoot for wide feet, but is slightly narrower in the forefoot, this is to allow the leather a bit of room to stretch as you wear the shoe in. The shoe is designed to fit any kind of foot size and shape. Michelin technology combined with Kelme's sporting shoe prowess make for one great fustal soccer shoe that gives you the best of both worlds. Great traction, great fit and a superbly flexible, comfortable and well-designed shoe to give you the edge when playing indoor soccer. It should be no surprise that Adidas once again features on our list of the top indoor soccer shoes on the market. This time we look at a soccer cleat that is designed for kids to take to the court with. When considering purchasing a shoe for children it is important to look at sizing, comfort, and durability. It is also important to note that a child grows very quickly so an expensive indoor soccer shoe for your child is probably not the optimal choice. The Adidas Performance Kids' Samba ticks all the boxes as a great kid's indoor soccer shoe. The Samba is constructed from full grain leather in the synthetic uppers with suede overlays to add to the durability of the shoe. This material gives your foot a great feel when touching the ball and allows for precision dribbling and shooting. The construction of the shoe is designed to offer the child support where they need it in the insole and midsole of the shoe. Stability and comfort are the name of the game when it comes to the Adidas Samba. The outsole of the shoe is made from gum rubber with little nobs to ensure great traction and grip on any surface. Speed and agility are what is required when playing indoor soccer and your shoe needs to ensure you stay stable on your feet even when making quick turns and changes in direction. The traction on these shoes will do exactly that. The insole and midsole of the shoe are designed with comfort and support in mind. The die-cut EVA insole is both lightweight and extremely comfortable and will not weight your child's foot down. The pre-molded EVA midsole offers a good amount of cushioning to ensure ultimate comfort, while still remaining lightweight. The fit of the shoe is one that wraps your child's foot in comfort and support. It is important to note that you must get the correct fit, unlike other shoes where you can leave some room to grow, in an indoor soccer shoe this is never a good idea. Keeping your child active and healthy is important and when they take to a sport such as indoor soccer, you want to give them the best kit to let them shine. 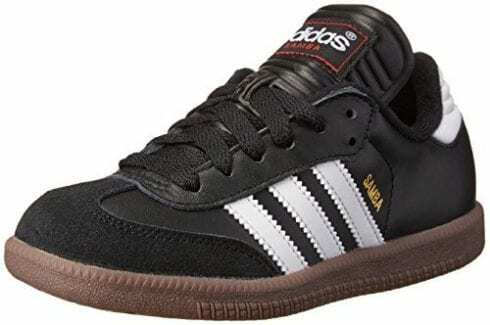 The Adidas Samba is not only a great soccer shoe but also one of the top pairs of indoor soccer shoes on the market today, designed especially for kids. You know when Mr. Messi lends his name to something it is going to be of high quality and superb construction. Well, in this case, he helped design the shoe so you know that it is going to be designed to give you the ultimate performance when on the court and help you lift your game to the next level, maybe even rivaling the great man himself. The agility touch skin upper of the shoe is designed for the best agility and snug fit you can get. This is very important when thinking of control over the ball. The touch skin upper provided molds to your foot, wrapping it in comfort and support and allowing for a great range of movement. This allows you to move in multi-directions and make quick, sharp turns and changes of direction. The textile and soft synthetic uppers and general construction of the shoe are designed for durability. The outsole of the shoe is non-marking. It is constructed from rubber for the best traction on the flat, smooth surfaces of the indoor arena. The midsole is a low profile design to ensure you maintain good contact with the surface giving you more control. The insole is lightly padded, enough to protect and support your feet during the game. The mono-tongue construction of this shoe is designed to offer a snug fit. It wraps your foot in comfort and support and the shoe molds to your feet perfectly. The agility touch skin upper of the shoe will hug your foot, locking it into the shoe for ultimate stability. There is almost no wear in time with these shoes and you will benefit from great comfort from the start. This shoe may be one of the more expensive indoor soccer shoes on the market however you are not just paying for the Messi name, but the superior quality and design that goes with it. Great fit, great traction and superb stylish looks all contribute to an overall superior indoor soccer shoe to help you lift your game to the next level. PUMA makes it onto our list again as an indoor soccer shoe with the features that are designed to enable you to excel on the courts. Stylish, durable, flexible and offers a great feel, this is the shoe you need to lift your game up a notch. Superb construction with unmatched traction gives you the ability to speed around the arena with confidence and in style. The shoe is constructed from mesh. The three-color upper of the shoe is breathable and durable. The TPU skin on the upper offers some of the best support you can get in an indoor soccer boot. Durability is ensured with this skin located in the high abrasion areas on the foot such as the toe and heel. The heel counter on the shoe provides the stability and support you need. The materials the shoe is constructed from make it lightweight. The outsole of the shoe is constructed from gum rubber. This is not only grippy but also non-marking. The outsole is a low profile design to give you great contact with the surface and keep you steady and stable when racing around the arena. The insole of the shoe is designed for comfort. You get the PUMA Formstrip at both sides of the shoe to ensure that your foot remains locked in and comfortable. The midsole of the shoe features IGNITE Foam. This is PUMA's proprietary material. It is designed to give you great energy-returning qualities to give you that extra boost on the courts. The TPU shank provides great stability. The fit of the shoe is enhanced by the lace closure, which ensures a snug and secure fit. The shoe is designed to mold to your foot and there is a minimal break-in period needed to get just the right feel to the shoe. PUMA is a brand name that is known for quality and excellence and the IGNITE embodies these qualities. Designed to lift your performance on the court and give you the confidence to score in style. When purchasing indoor soccer shoes for your child it is not good enough to just "size down" on the adult version as children's feet are shaped differently and need added support and comfort as they are still growing. Nike recognizes this and has designed a shoe that is perfectly suited to young soccer player's feet. 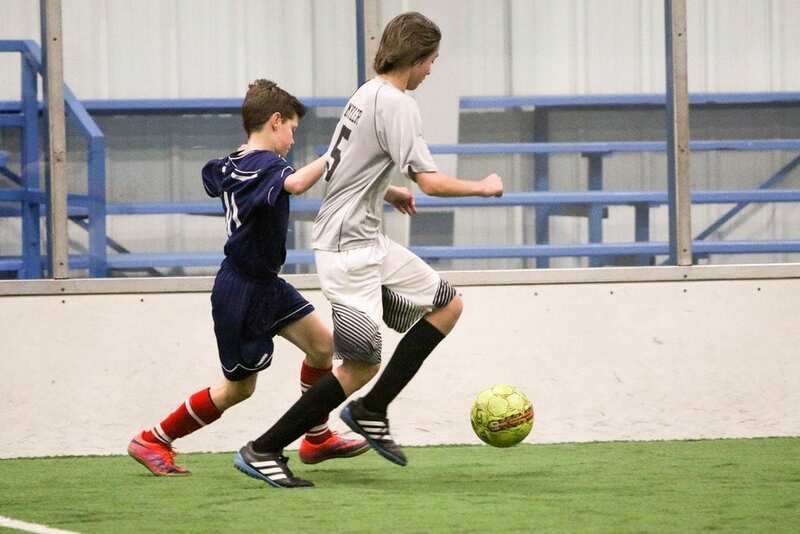 The MercurialX, like its adult version, offers your child the best in comfort, style, support, durability, flexibility, and comfort any great indoor soccer shoe should offer. The textured leather upper of the shoe is designed to give your child greater control over the ball with an embossed horizontal ridge. Designed and constructed with Cristiano Ronaldo in mind, this shoe embodies the best features any soccer player would or could want in a shoe. Like the soccer hero himself, this shoe reaches its potential and more. The outsole of the shoe provides the best traction you can get ensuring your child remains stable on his feet. Turning, changing direction and fast accurate movement are imperative in this game and the Nike Kids MercurialX offer the grip needed to perform these moves on the court. The outsole also has rubber studs for added traction especially designed for indoor, soft synthetic surfaces. The shoe features an Anti-Skid top cloth that is designed to grip the foot and prevent it from slipping inside the shoe. The midsole is a low profile design to offer great touch and feel. There is cushioning in all the right areas, in the heel, toe and midfoot to ensure that your child's foot remains comfortable and supported throughout the game. When fitting a child's shoe, especially when looking for the correct fit in an indoor soccer shoe, there should be some wriggle room but not enough to let the foot slide in the shoe. The Anti-Skid top cloth in this shoe helps to prevent that kind of slippage even if the shoe is slightly larger so that the child has some room to grow. Your little one could be the next bright and shining star in the world of soccer and giving him the best shoe that you can that will not only give him great touch and feel to make it easier to control the ball. The Nike Kids indoor soccer shoe is designed to give your child the best advantage they can have on the courts. We end off our list with another great offering from NIKE the world-renowned name in athletic shoes. Nike is a brand that is chosen by the professionals for its quality and great construction and design. The Hypervenomx Phelon III is the third generation of this shoe and has just gone from strength to strength with each new offering. It offers a superb fit, great durability, breathability and comfort along with stylish looks for on and off the courts. The shoe is constructed to offer superior fit and great stability during play. It is designed with lock-down features to ensure the foot remains secure inside the shoe. The materials used are both lightweight and durable. This is a shoe that will take you all the way to the top in your game. The outsole of the shoe offers great traction. IT is constructed with gum rubber and will give you the best grip on and off the court, both indoor and outdoor. Durable and strong the outsole also offers the flexibility you need to be able to make those fast changes of direction, pivots and more on the court. The insole of the shoe features foam pads, which are strategically located in the strike zones. This design not only offers great energy return but also lessens the impact of the ball on the foot when kicking and dribbling (shock absorption). The sock liner anchors the foot into the shoe with a zigzag textured lining along the bottom. The forefoot of the shoe offers the top flex zones. These enable you to make quick movements with confidence. The shoe offers Dynamic Fit, which is a unique feature to Nike. The Dynamic Fit will link the ankle to the lower foot. This provides support and great touch and feel for the ball. The Flywire cables on the shoe will wrap your foot to increase stability. Your feet are your tools when it comes to soccer and the Nike indoor football footwear give you everything you need to use them effectively. Strong, durable and flexible, they will help you dribble and score with accuracy and confidence every time you take to the courts. When you play soccer, or a sport such as indoor soccer you need to be agile, fast and fit. You need to have the shoe that will enable you to make fast and accurate passes and move quickly around the court. Having a soccer cleat that offers the best traction, best support and stability along with superior comfort will ensure that you perform at your best when on the court. It is important to remember when selecting the indoor soccer boot that you will be playing on hard, smooth surfaces and having a shoe that offers the flexibility and comfort to cope with those playing conditions is vital. 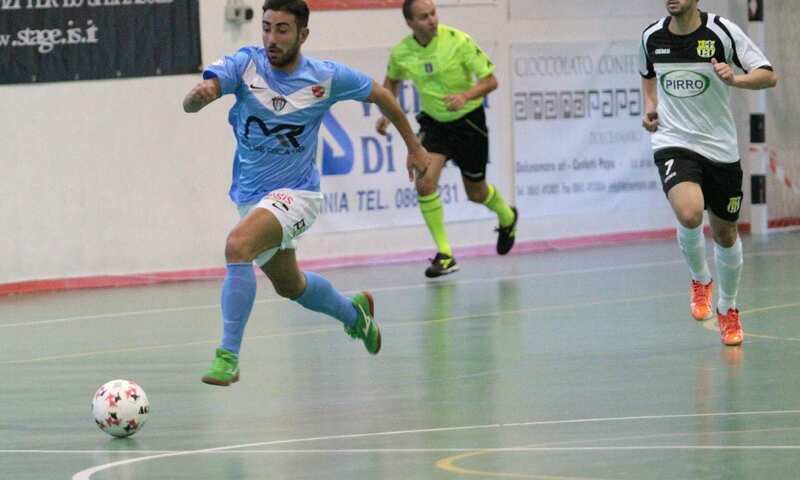 As indoor soccer is one of the most popular sports in the US there are many brands that have come to the party when it comes to indoor soccer or futsal shoes. Choosing the right shoe, no matter what brand, for you or your child is important as your feet are critical in this fast-paced action filled game. A soccer cleat that fits properly and provides the comfort, stability and support you need is vital if you are going to reach your full potential on the courts. Always fit your new indoor soccer shoes at the end of the day or at the end of the game. Your feet will swell during the day and you need to ensure that even with this slight swelling your feet remain secure and comfortable in your shoe. 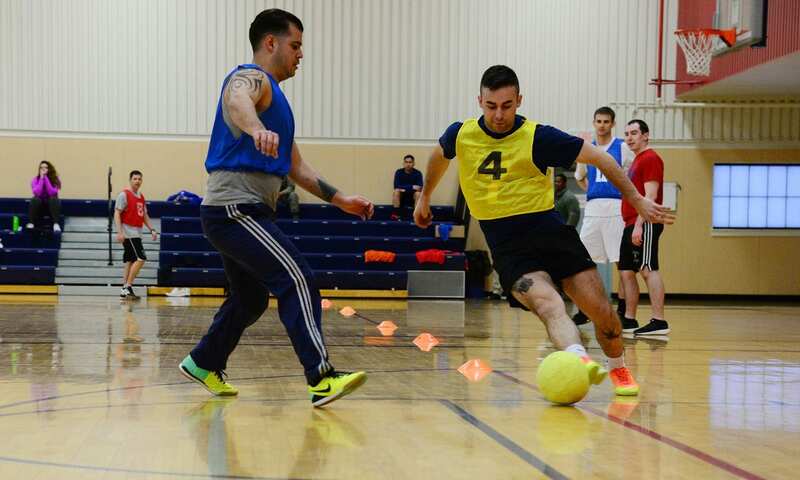 There are various rules to indoor soccer, as this study shows. Although commonly called indoor soccer the term mini-football, which was coined in Europe, was adopted by the World Mini Football Federation or WMF, the governing body of the sport, as the standard name of the sport. You can often play indoor soccer in a small team of 5 people on each side, this is known as 5-a-side (read the study). There is also a difference in cardiovascular health between outdoor and indoor soccer. We hope you enjoyed our article on "The 10 Best Indoor Soccer Shoes in 2019", if so, please share and rate it.